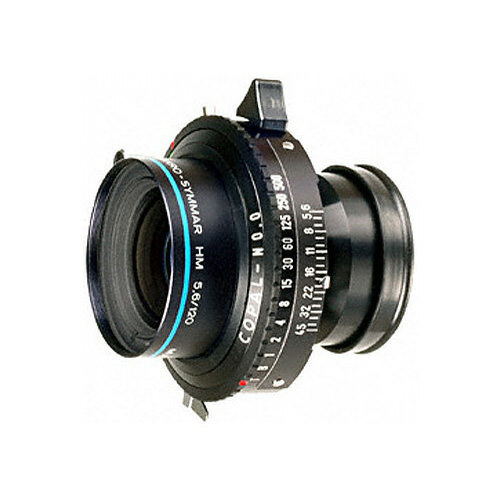 Lens Description: The Schneider 120mm f/5.6 Makro-Symmar HM Lens is a large format lens specifically designed for macro use, primarily for the 4x5 and 5x7 formats. It can also be used upon 6x9 cameras, and even 8x10 cameras at 2:1 magnification. The Makro-Symmar HM, within its recommended 1:4 to 4:1 reproduction ratio range, produces images with superior resolution, contrast, and color correction. The difference versus a common-use large format lens is stunning. It is an apochromatic design, and incorporates costly ULD (Ultra-Low Dispersion) glass elements for the highest possible quality. The Makro-Symmar HM is meant to be used at larger apertures to limit the degradation of image quality caused by diffraction.